SCICON presents the AeroComfort ROAD 3.0 TSA bike travel bag. Driven by continuous development. Advanced material properties, thru axle compatibility, enhanced protection. With only 8kg one of the lightest of its kind. Packing your longer, lower and slacker bike for those long-haul trips just got easier and safer thanks to the intuitive engineering of JETPACK V2 XL. Specifically designed for mountain bikes, but can easily carry road and gravel bikes or a tri-bike with an integrated seat post. JetPack is the ultimate travel solution for you road, mountain or TT Bike, featuring an innovative inflatable wall-system. Rugged roller wheels and an easy gripping handle bolster carrying convenience to and from arrival and departure gates, while the bags lightweight build complies with airline luggage weight restrictions. 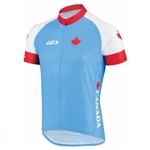 The Equipe Pro Replica 2 jersey offers the same styling the pros wear, with Garneau’s highly popular quick-drying Diamond fabric that offers great UV protection and excellent breathability. Stash your snacks, keys and ID in the three back pockets. Just don’t be surprised if someone mistakes you for a pro! 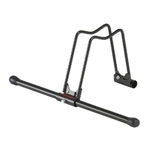 The Steadyrack Fender Bike Rack was specifically designed to accommodate bikes with fenders and mudguards. The Steadyrack Fender Rack can be mounted to virtually any wall and will swivel almost 180 degrees from side to side. It minimises space without compromising safety and there is no heavy lifting required. The Steadyrack Fat Bike Rack is one of the only bike racks on the market that cater specifically for bikes with tyres greater than 3 inches. The Steadyrack Fat Rack can be mounted to virtually any wall and will swivel almost 180 degrees from side to side. It minimises space without compromising safety and there is no heavy lifting required. The Steadyrack Classic Rack can be mounted to virtually any wall and will swivel almost 180 degrees from side to side. It minimises space without compromising safety and there is no heavy lifting required. If travel with your triathlon bike by car, bus or train is on your agenda, the Scicon Travel Plus Triathlon is your choice. The lightweight bike bag with padded sidewalls and a removable, rigid base provides the right level of protection that is needed to keep your bike safe. Easily roll bike outside for washing or lubricating. Holds bike upright for ease of making adjustments, adding accessories or packing your bike bag. Keep small items separate for easy access. With a quick twist, the store-all DUO POD opens up two waterproof compartments (600mL and 83mL) each ideally sized for keeping both large and small items neatly organized. Ideal for use in both rear and frame mounted cages. Sound-proof inner padding maintains a noiseless ride. Split into two compartments. List of tools included below. Ideal for use in both rear and frame mounted cages. Sound-proof inner padding maintains a noiseless ride. Split into two compartments: Use one side for repair kit, and other side for a spare tube. Tools not included. Large Storage Hooks are big enough to accommodate fat bike wheels/tires. Plated and vinyl dipped for long, scratch free service. Protect your front forks with this easy to use protection cover. The cylinder shaped padded protection has rigid plastic inserts to protect your front fork and drop outs from shocks, knocks and scratches. Convenient, quiet storage in a cage. Features Extra wide screw cap. Frame span is adjustable between 46-62mm for different tire sizes. Using on rear wheel is preferable for greater stability. Steel construction. THE HELIUM V4 BIKE CASE uses a combination of light, flexible materials and strategically positioned rigid reinforcements, allowing it to offer excellent protection at a surprisingly low weight of only 9 kg (19.8 lbs). Not only is our bags easy on your shoulders, it also makes it easy to respect the strict baggage weight restrictions imposed by most airlines. With its wide fat boy tyre, low centre of gravity, slackened headset angle, this is surely the most stable learner bike of all, as well as the coolest. Ideal for younger kids (as early as 20 months), for lighter less physical kids or for kids whom speed is a real priority. With its wide fat boy tyre, low centre of gravity, slackened headset angle, this is surely the most stable learner bike of all, as well as the coolest. So easy to ride for the smaller tot despite its larger size, and its bigger frame & 14" front wheel allows your child to get more out of the bike for longer.